People love to eat, and almost everyone loves an occasional pizza. Pizza is a combination of cheese, meat, vegetables and other toppings that are perfectly oven baked on layer of dough. Not only are pizzas delicious, they are also nutritious and filling. A lot of people around the world recognize pizza as an all in one meal, and two pizza giants that guarantee freshness and satisfaction when it comes to pizza are Pizza Hut and Domino’s Pizza. These restaurants offer not only the best pizzas, but a lot more choices of tasty foods and beverages. As the main product of both restaurants, there are a lot of varieties where customers could choose from with both pizza giants. 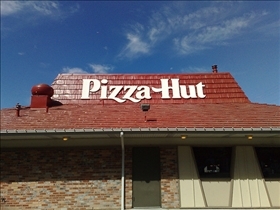 With Pizza Hut, they have the Supreme Pizza, the Bacon Cheeseburger Supreme, Hawaiian, Veggie Lovers Supreme, Super Supreme, Meat Lovers, BBQ Ribs Pizza and 3 Cheeses. They also have this new line of pizza, the Viva Italian pizzas which include the Roma and the Milano. Also, Pizza Hut has this ‘Create your own pizza’ which are filled with crust toppings like Stuffed Crust Pizza, Sausage Stuffed Crust Pizza, Cheesy Pops, Sausage Pops and Cheesy Volcano Pizza. Domino’s has a different pizza line like Hand Tossed Pizza, Deep Dish, Crunchy Thin, Brooklyn Style, Honolulu Hawaiian Pizza, Philly Cheese Steak Pizza, Pacific Veggie Pizza, and Cali Chicken Bacon Ranch Pizza. Aside from the fabulous pizza that both restaurants have to offer, they also have a wide variety of choices for other delicacies. Pizza Hut has meals like breaded chicken fillet, chicken wings, pork BBQ rice, chicken Parmigiana and roast chicken with spaghetti. Domino’s Pizza has some pasta lines to offer like chicken alfredo, Italian sausage marinara, chicken carbonara, 3 cheese mac n cheese, pasta primavera, and a build your own pasta. Pizza Hut boasts of choice appetizers which are versatile and can be paired with any pasta or pizza meal. They have salads and soups to choose from. For the person who’s got the munchies, they also have flavored breadsticks. Pizza Hut is also big on meat – it offers a selection of chicken and seafood dishes such as Buffalo wings, roast chicken and Calamari. Finally it believes in a sweet ending to any meal, so they also have conventional desserts such as sundaes, cakes and flans to choose from. Their Panna Cotta is a must try. 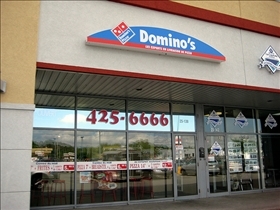 Domino’s on the other hand, is big on pizzas, pastas and sandwiches. They may not have an extensive menu of soups, salads and desserts, but their sandwiches are a must – try. Favorites include Philly Cheese Steak, Italian Sausage and Peppers and Chicken Bacon Ranch. However, all flavors are worth a try. Pizza Hut offers more varieties and toppings of pizza than Domino's. Domino's, however, specialize in crusts. Pizza Hut also has more choices of pasta whereas pasta alternatives in Domino's are limited to conventional, mainstream recipes. Pizza Hut offers salads, soups and desserts. Domino's does not. However, Domino's has sandwiches. Which pizza shop makes better pies?